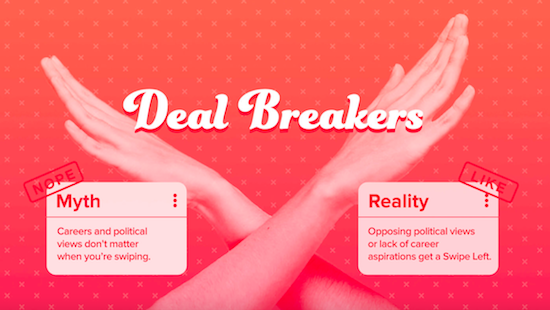 It’s politics season and if you’re getting ready to watch the debate with your date, or follow it on Twitter, listen and tweet closely as these stats might help you with your dating and love life. In this year’s Singles In America study published by Match, it was proven that talking about politics increases your chances of a second date by 91%. 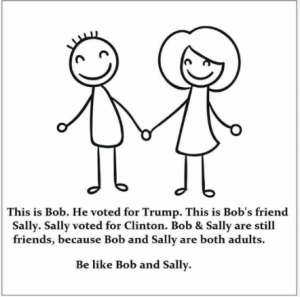 That may be true, if you’re on the same political page, but for some, differing politics can add an explosion to your relationship. 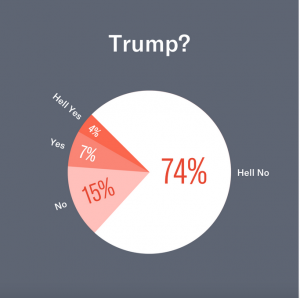 Let’s take a look at how America’s singles feel about politics. 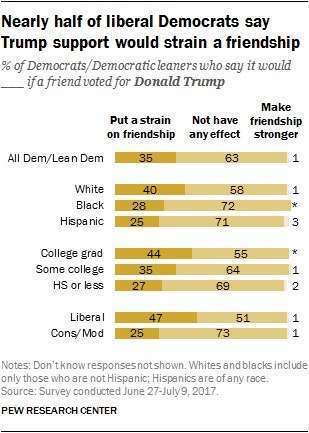 Hilary supporters are also more likely to do the following, as compared to Trump supporters. 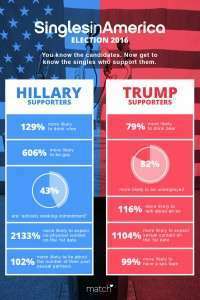 What Side are Single Voters On? Did you know there are over 107 million singles in the United States? 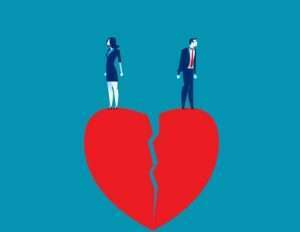 Singles make up more than 1/3 of the U.S. adult population and they’re passionate about their politics. 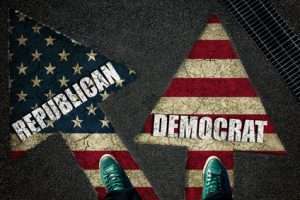 The #SinglesInAmerica study found that very few singles are willing to vote for a politician who has committed a crime (12%), had an affair (26%), or been caught in a lie (7%). 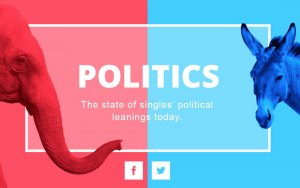 On the other hand, singles are more willing to vote for a candidate who is single (75%), divorced (64%), or female (78%), and candidates with a successful business background (74%). 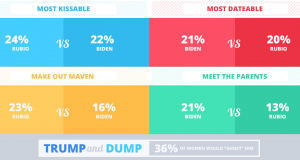 Singles also weighed in on their romantic feelings about Republican candidate Marco Rubio and our current Vice President, Democrat Joe Biden. Just how adventurous are you? While we believe in leaving the boardroom out of the bedroom, this study shows there’s a direct relationship between politics and passion. At the end of the day, watch a debate or two, and talk about it with your potential date. You’ll appear like you know what’s happening in the world and will score rating points on his or her date card. Julie Spira is an online dating expert and author of The Perils of Cyber-Dating: Confessions of a Hopeful Romantic Looking for Love Online. 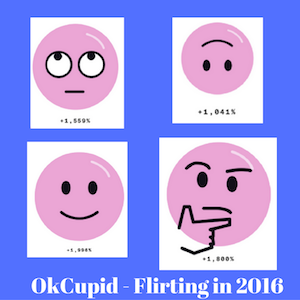 For more dating advice follow @JulieSpira on Twitter, sign up for our Weekly Flirt and like us at Facebook.com/CyberDatingExpert. JUST RELEASED: Our 2nd edition of The Perils of Cyber-Dating is now available on Kindle and as an audio book, narrated by the author. Listen to our book trailer here.